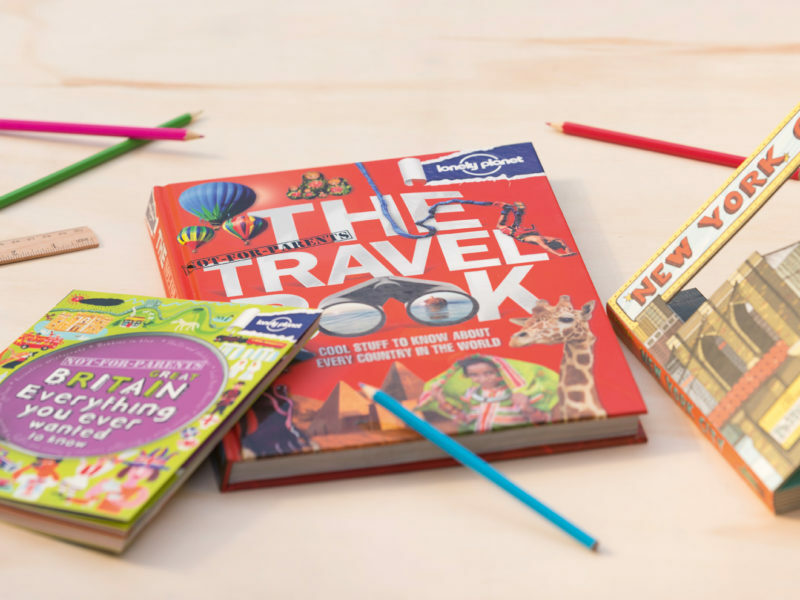 Our favourite travel guidebooks for children. Reviewed for you by young travellers themselves. 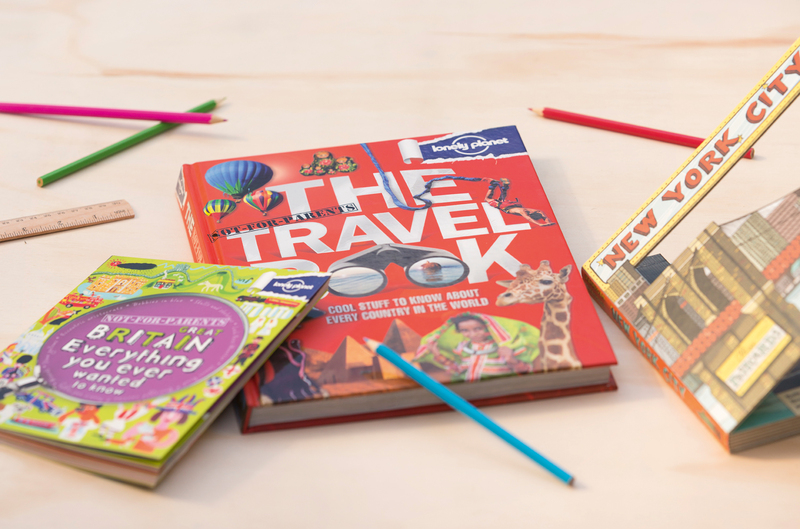 Big kid’s note: The Not For Parents series (including Rome, South America, China, New York…) are pitch-perfect in their cheeky approach to destinations, exploring the quirky, oozy and downright funny bits of each destinations’ past to make them completely compelling now. Big kid’s note: Grouped together by continent, this hefty book dedicates a page per country to all manner of weird and wonderful factoids, from how Bosnians drink their coffee (they dip sugar cubes into the liquid and eat them) to Scottish inventions (television, telephones, finger-printing, golf, tyres and penicillin) to the official language of São Tomé & Príncipe (Portuguese). Big kid’s note: This illustrated pop-up cleverly journeys through the cityskyline page by page, with interesting facts on New York City along the way. There are some cute postcards in the back too. Big kid’s note: Written by the grandson of Madeline’s creator Ludwig Bemelmans, the rhyming text is compelling for children to read while the misadventures of this most quintessential of French schoolgirls, set against a backdrop of The Forum, the Trevi Fountain and the Spanish Steps, are giggle-out-loud fun. Big kid’s note: These compact fold-out guides (the series includes countries, cities and specific destinations such as the Louvre) are the perfect way to put the little ones in charge of the map while on holidays, as they can seek out sites based on the cute 3D images they are holding in their hands. Big kid’s note: One of the classic This Is books, the illustrations are not all that contemporary but they are colourful and totally charming. The text, which has been updated in places in the interest of correctness (including things like population figures), serves as much as a history lesson of the city as a guide. Big kid’s note: Eschewing specific destinations, this guide is more of a manual on how to survive absolutely any eventuality while travelling, with practical advice (how to find water in the desert), useful facts (navigating by the stars), unusual tips (how to build an igloo) and some truly gross bits (extreme first aid).